Rain of Reflections by Lionbite Games is an interesting turn-based game with stealth mechanics. The game will be divided into chapters. In the first chapter, we will take control of Wilona, a scientist who works on a solution to the world’s sudden infertility. Not agreeing with the methods used to do experiments, she decides to free the last child born. 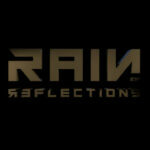 Rain of Reflections is a turn-based tactical game with a lot of emphasis on the stealth part and dialogues. Every choice we make will be final, choices that can also lead to the death of some characters. Below is the new trailer with the link to the Steam page. Regarding the release date of the first chapter, it seems to be expected soon, in the coming months. Subscribe to our newsletter to stay updated on all the news in the world of turn-based games.